Location is everything with serviced apartments, and we couldn’t be better situated. 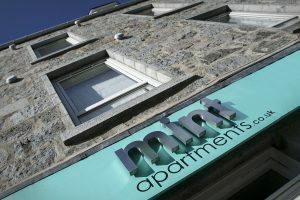 Sitting in an enviable location in the heart of Aberdeen City Centre, Mint Apartments are convenient for major oil production and service companies, shopping and entertainment. A wide variety of amenities including a convenience supermarket, cafe, restaurants, hairdressing and beauty salons, pubs, hot food outlets, wine shop and DVD rental shops are right on the doorstep while Union Street, Aberdeen’s main street, is just a 5 minute walk away. Please read and agree to Privacy Notice before submitting this form.